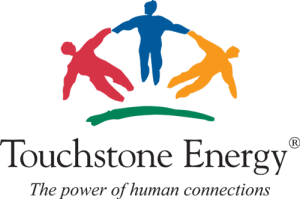 As a Touchstone Energy Cooperative, MCEC provides the highest possible customer service at affordable rates, offers innovative products, acts with integrity, maintains our unique, strong commitment to our community, and is accountable for all that we do. In addition, we use our strength in this national alliance to provide enhanced services. Through the Action Committee for Rural Electrification (ACRE), the electric cooperatives of Illinois work to provide a strong voice in Springfield and Washington, D.C. Illinois ACRE is the statewide political action committee established more than 30 years ago to protect the interests of the rural electrification program in our state. Illinois ACRE is involved in local and statewide political activities that affect your cooperative. ACRE is a bipartisan organization and makes contributions to both Democratic and Republican candidates who have indicated by their voting records or other methods their support for the needs of electric cooperatives and those who live in rural areas of Illinois. The activities of Illinois ACRE are governed by a Board of Directors elected annually by the membership.